Would you like to learn more about integrating your life skills, experience, and education for a successful and fulfilling equine facilitated learning practice? Drea and I have noticed that facilitators/instructors sometimes have difficulty differentiating between Equine Facilitated Learning, Equine Assisted Coaching and Equine Facilitated Psychotherapy. Our intention with this workshop is to assist others to understand when these types of facilitation overlap; when discernment is necessary; how to combine some of the practices and principles unique to each; and how to assess your specific skill set and gifts to identify your individual practice. The balance and integration of science and spirituality, and wisdom and psychology in your life and your practice will also be part of our conversations and support during our time together in Washington. The latest research on the brain and the limbic system will be presented and discussed as well as how it all supports the efficacy of our work with the horses. This workshop will give you the opportunity to connect with like minded people! You can also schedule some individual time with Kathleen, Drea and the herd. 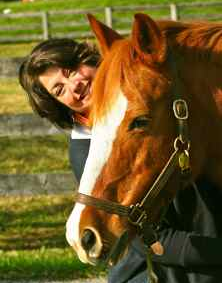 Special Additional Workshop Thursday, August 18, 2011: Why Equine Facilitating Learning? 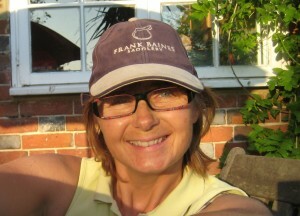 : A Day for Mental Health Professionals. Contact Drea for details (drea.b.bowen@gmail.com). Silverdale is located on the beautiful Kitsap Peninsula, surrounded by Puget Sound; the Olympic Mountains to the west and the Cascade Mountains to the east. Summer is an amazing time of year to visit. If you wish to extend your stay there are a tremendous number of things to do in Silverdale. Darkness does not fall until 10:00 PM, leaving plenty of time to play after our day together. Kayaking (Drea has 2 and can round up more if needed), hiking, a ferry ride to Seattle, a visit to the Olympic Peninsula, or a ferry to Victoria, BC are a few suggestions. Drea has a 27’ Sea Ray that can accommodate 2 people; it will likely be in the water at the marina, a 15 minute drive from the ranch. 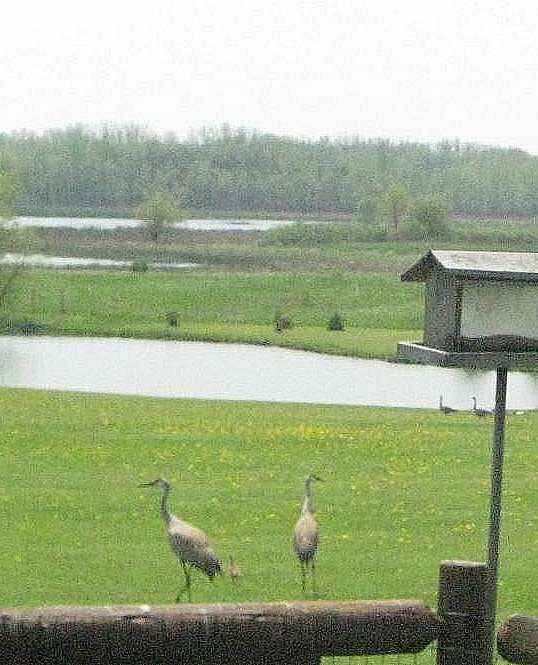 The marina is magical in the summer, with the Purple Martins are so busy that time of year. The boat has a kitchen and bathroom, the marina offers a deli and showers. $40 per person. 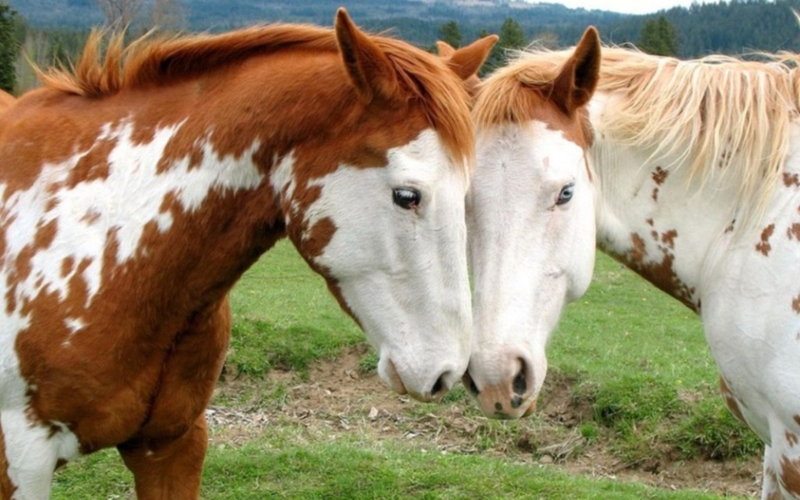 Do You Speak Horse or Human to Your Equine Co-Facilitator? 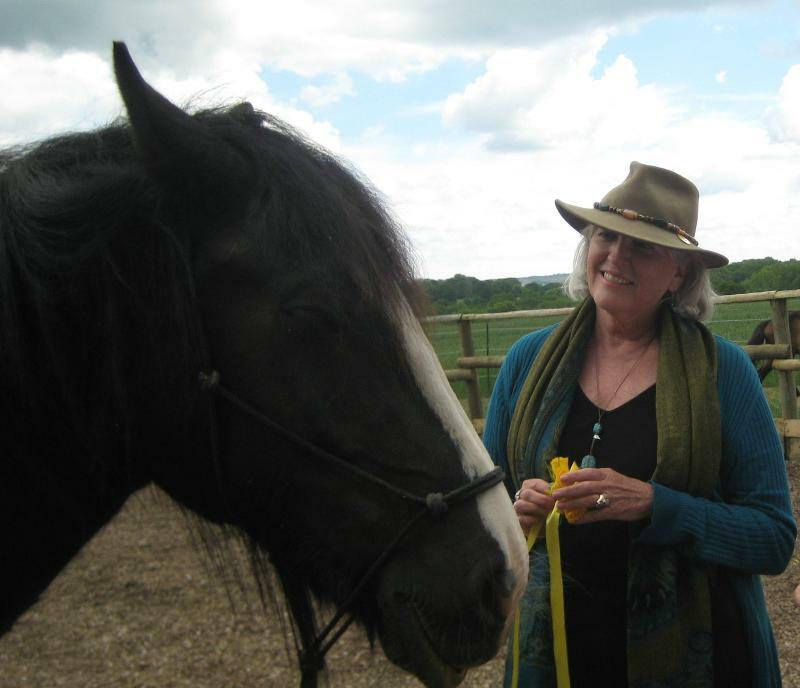 Those of us drawn to equine facilitated learning and psychotherapy come to this field for our own reasons and with our own special set of experiences and level of horsemanship. I started my EFL journey with a solid knowledge of horses and a knowing of how my relationships with my herd had, without question, changed my life. 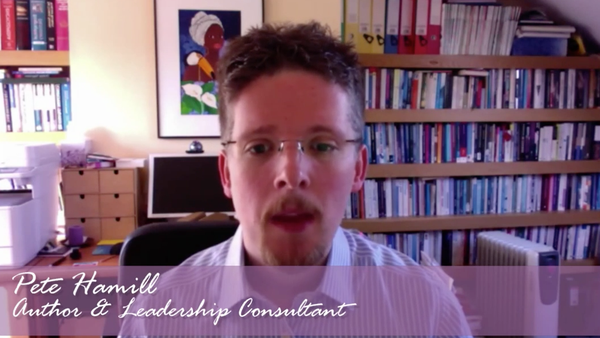 I was searching for the explicit knowledge to understand why this work is so meaningful and powerful and a skill base to help others experience what I had experienced with my herd. Being a passionate student of equine behavior, social bonding in particular, I have noticed that the same concepts that are so transformative for humans in their work with horses, work in reverse for the horses when we are aware of that potential. The more I thought about this, the clearer I could see how each of the horses in my herd had changed their own neural patterns and behaviors as they found their way to trusting and bonding with me. In the process of building a trusting, respectful social bond with the horses in my herd, I absolutely had been doing this work for my horses just as they had for me. I think of it as human experiential learning. 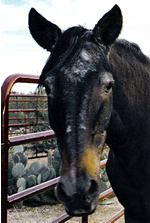 Horses are not unlike humans, they manifest ingrained neural patterns based on their life experiences. Very few of the horses we work with will be free of the consequences of conforming to a human world where most people don’t speak their language. For horses the challenges can come from the effects of unnatural and painful training methods, from living as a tool for a human’s competitive ego, being kept in an environment that is unnatural, and from being misunderstood as a species. Every horse on my ranch, except for the two who were born here, have required a diligent effort on my part to lead with my heart, honor their boundaries, and build a dependable bond based on getting to know each other, then like each other and ultimately to trust each other. 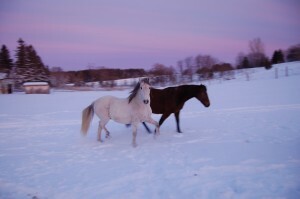 The remarkable thing about helping horses reconnect with their authentic self expression is how willing they are to shed those traumas and patterns when working with a human who understands the nature of the equine species and who is 100% committed to creating a safe social bond that is based on their nature. I have noticed in my travels and training that, in many instances, the horse – our partner facilitator, is not considered in the way that I feel truly honors and cares for their contribution to this work. I don’t think this is a purposeful oversight. With our focus on learning the intricacies of helping people we may not have had been presented with the imperative of getting to know the intricacies of the equine just as well. Whether we have come to this work with a lifetime of horse experience or none at all, there is so much to learn about this most amazing animal. 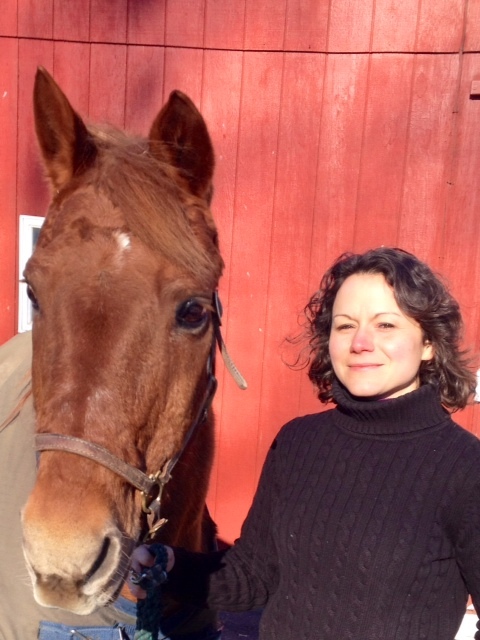 Our work is grounded in connection, relationship, empowerment, and learning to trust and honor our unique gifts and I believe this applies equally to our relationship with our equine partners. 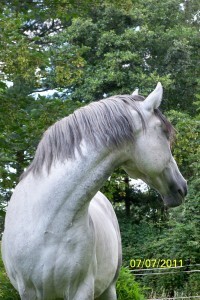 Just as we have to be committed to our own personal growth and development, to acknowledge our gremlins, and to bring our best authentic self to our work with our fellow human beings, I believe we also must commit to becoming adept at understanding the equine species so that we are confident, comfortable, and feel safe at all times. 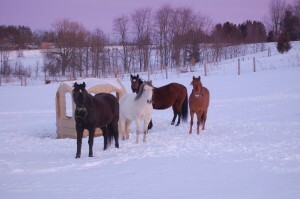 From there we can create a safe, emotionally rich and rewarding working environment for each horse, as an individual. We all have different circumstances with regards to the horses we work with in our equine facilitated learning/coaching/therapy practices so the extent of our relationships with those horses will be a bit different for us all. 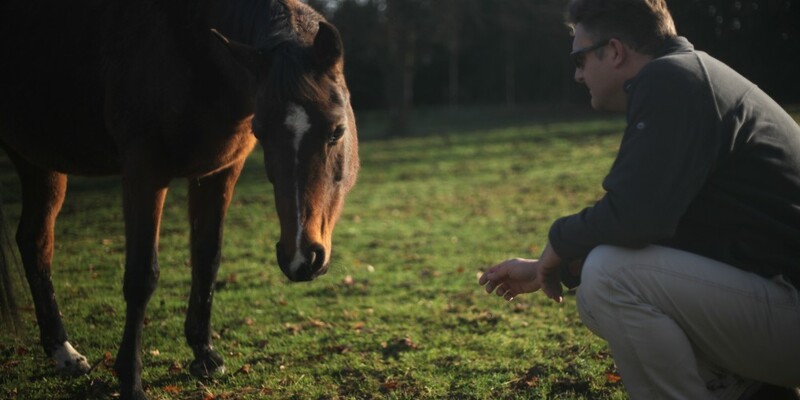 Ideally, working with horses that we are able to create a strong social bond with is optimal in my opinion. When that is not possible, our deep understanding of the horse as a species is critical to offering them the support they deserve for doing the work we are asking them to do. 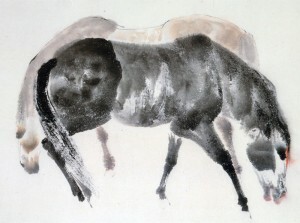 I feel that understanding the equine species, who that animal is in nature – collectively as a herd and individually as male and female, how a horse navigates in a healthy emotional and physical state and what it looks like when they are not, and believing it is our responsibility to be just as aware of their base line as we have to be for our human clients is essential and it is part of my path of advocacy for the horse in this work. I am passionate about helping facilitators know the difference between sessions where a gain for the human was taken from the horse versus a gain that came from a mutually shared experience. 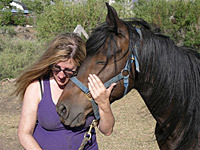 It is my pleasure to help people truly understand the animal that I love wholeheartedly so that they can enjoy the incredibly deep, heartfelt, social bond that equines are capable of. 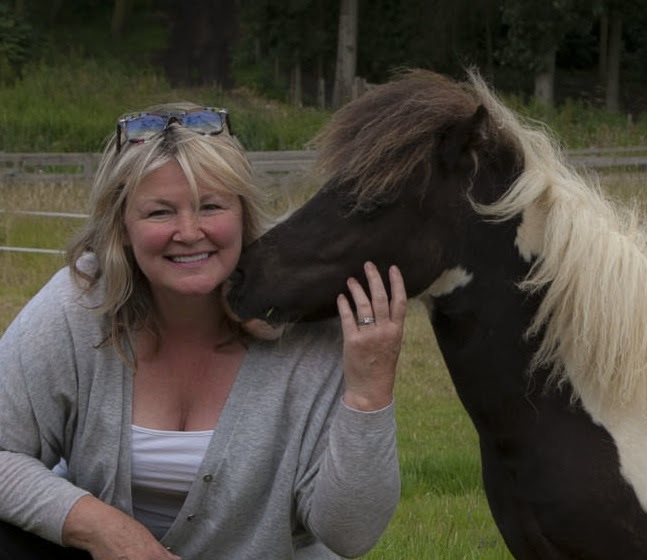 With a clearer understanding about the richness in relationship that is possible for us with our equine co-facilitators we have the opportunity to go from being good facilitators to Inspired Facilitators. And you know the horses are going to teach us a few things about ourselves along the way! 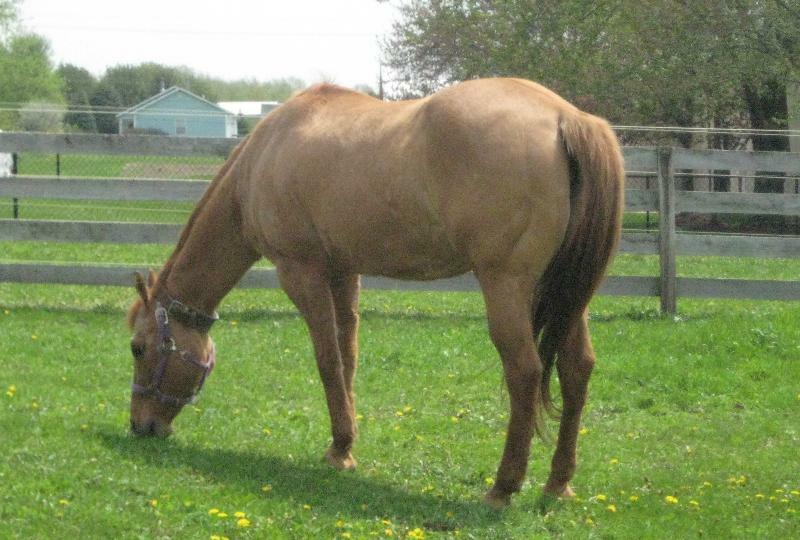 Montana – 12 year old red dun flashy, mare heart throb, quarter horse/Morgan gelding. We rescued each other when he was three. Our journey has been unlike any other and characterized by perseverance. Committed to understanding his challenges we have come from extreme aggression to the partner I trust with my most vulnerable clients. Homer – 23 year old sorrel quarter horse gelding. IHe is a Lamborghini with his athleticism and forward drive. 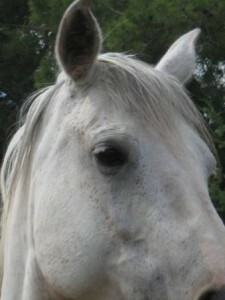 He is a lot of horse and he has taught me volumes about patience, seeing and feeling the horse inside, and gratitude. He is the rock of my herd, my go to guy, and I aspire every day to be the kind of leader he is in the herd. April – 24 year old red bay appendix quarter horse mare – the stories I can tell about the thoroughbred side (it has to be the thoroughbred) of this mare will touch my heart and make me laugh until I cry until the end of my days. I paid a good bit to rescue this mare with no intention of keeping her. No one liked her. Human or horse. She was a beautiful soft doe eyed empty shell. She is sweet and spicy and the epitome of the stereotypes about mares. Committing to her and watching her find her way out of her darkness has been humbling and amazing. Today we are heart girlfriends! Skye King – 6 year old sorrel quarter horse gelding. 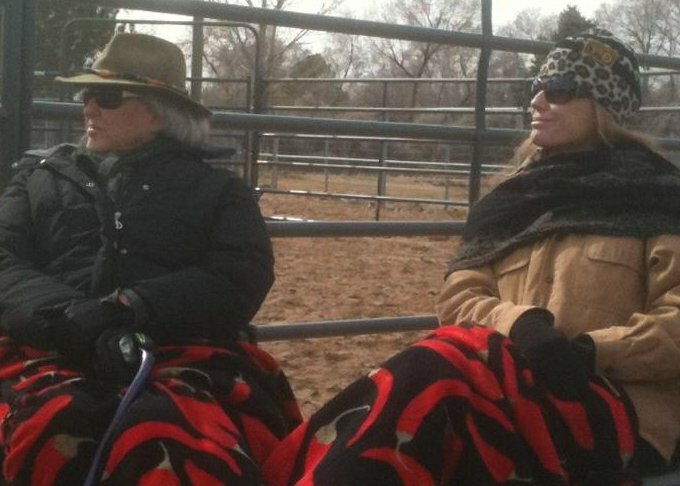 I flew to Montana to look at a broodmare band with my eye on Annie, Holly or Blondie. I flew home having purchased a 2 year old gelding. Our journey together has been very interesting and he is the one in a million horses that every horse owner wishes they had. He has grown into quite an amazing young man and everyone adores him. 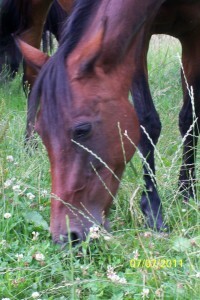 Holly – 8 year old sorrel mare. Words cannot express the depth of bond this mare is capable of. She is the lead mare of my herd. She IS the sacred lead mare of fantasy and lore. We are soul sisters and I have had to earn every fiber of our connection. I am so blessed to have her in my herd to witness and be a student of and to stand beside. 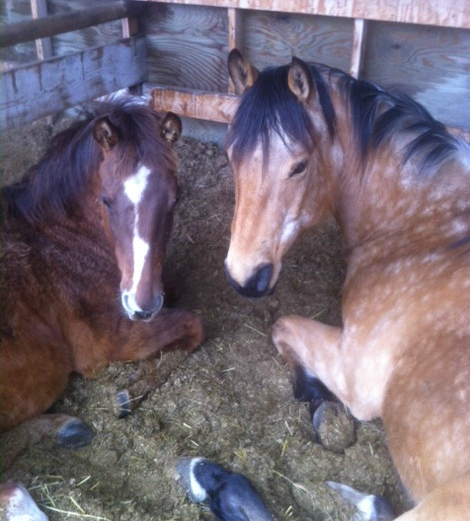 Sierra – 3 year old sorrel mare. Holly’s filly. 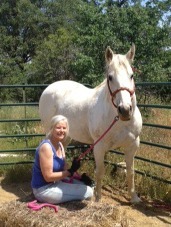 Funny, feisty, sweet, spicy, athletic, coy, lead mare in training. It is has been my privilege to raise her with Holly. I welcome getting her under saddle next year and anticipate some rides of my life! Johnny – 3 year old red bay gelding. April’s colt. Regal, smart, sensible, incredible mover, loves to run, high play drive, brave and is going to challenge me to take my horsemanship to the next level. He is blessed with both of his parents stunning good looks. 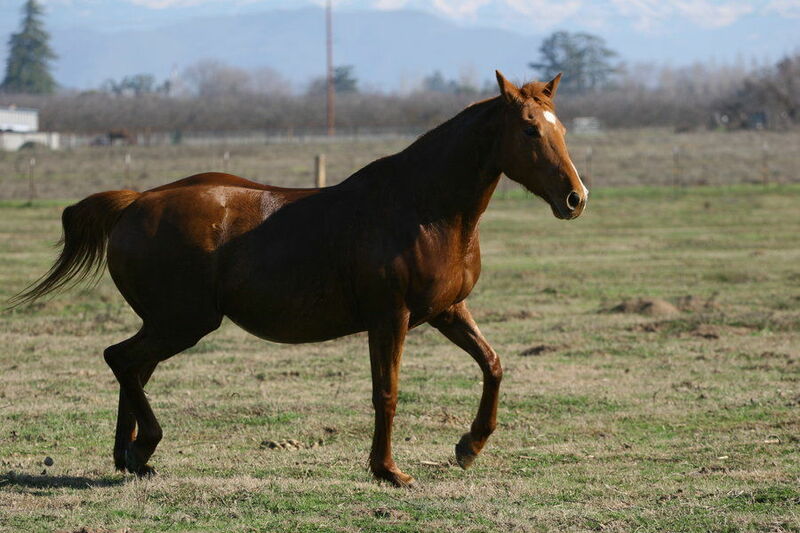 Rasa – 7 year old red roan quarter horse mare. We are just getting to know each other. She came with a lot of emotional scars and trauma. She is coming out of her shell and is on of the most expressive mares I have ever known and we are just barely at the tip of the iceberg. I am thrilled that she is part of the herd. She is low mare and wants the mares above her to know what is going on. 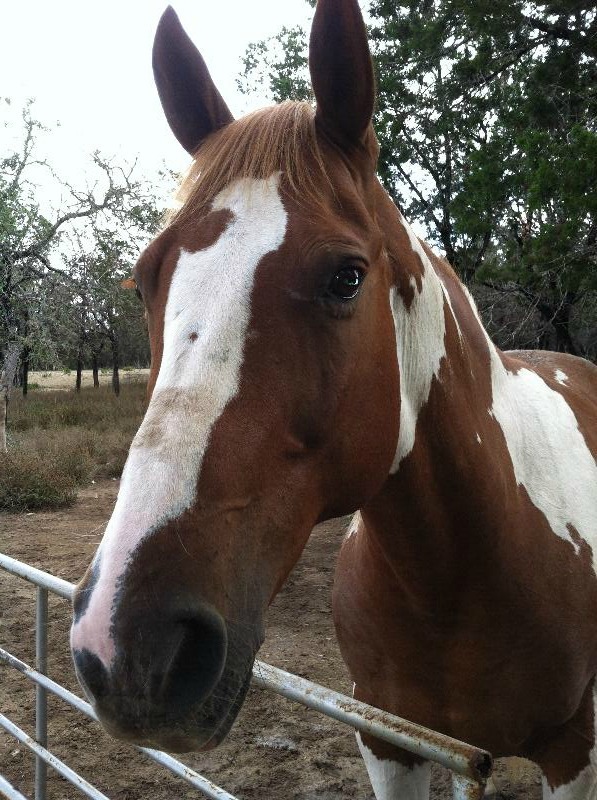 Annie – 7 year old sorrel quarter horse mare. Also a new mare that came with a lot of emotional trauma. She has been slower to trust and let a connection happen. We are making progress and I am just starting to get a feel for the heart that she has. Rasa and Annie are extreme cases of the kinds of horses we may find in our practice experience and sharing their rehab is part of my mission. How do you find balance in all of your relationships? 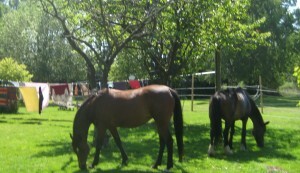 During these 3 days, the horses can help you to better understand your emotions and the messages behind these emotions. 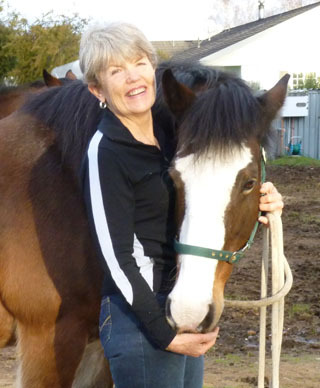 Get to know your own boundaries and experience and feel your boundaries in a whole new way with humans and horses. Specific exercises are designed to help you learn more about your body’s innate wisdom and the body language of others. How can you be more authentic in all of your relationships? By learning more about our survival patterns and beliefs, which often unconsciously guide us, we can live from a place of authenticity in the present moment. 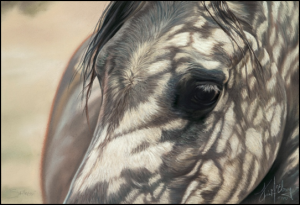 The horses – as consummate teachers -mirror and demonstrate when our feelings and thoughts inside match our behavior outside and allow us the opportunity to heal and move into a place of thriving, not merely surviving. Please join us for this non-riding workshop. Previous horse experience is not necessary. The workshop will be held in English with German translation when needed. 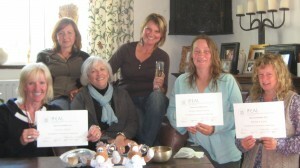 This is an approved Epona beginning workshop, www.eponaquest.com. 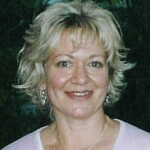 Kathleen will be available for individual sessions 3 days prior to workshop and 2 days following workshop dates. Cost: 495€ Snacks and vegetarian lunch will be provided each day. 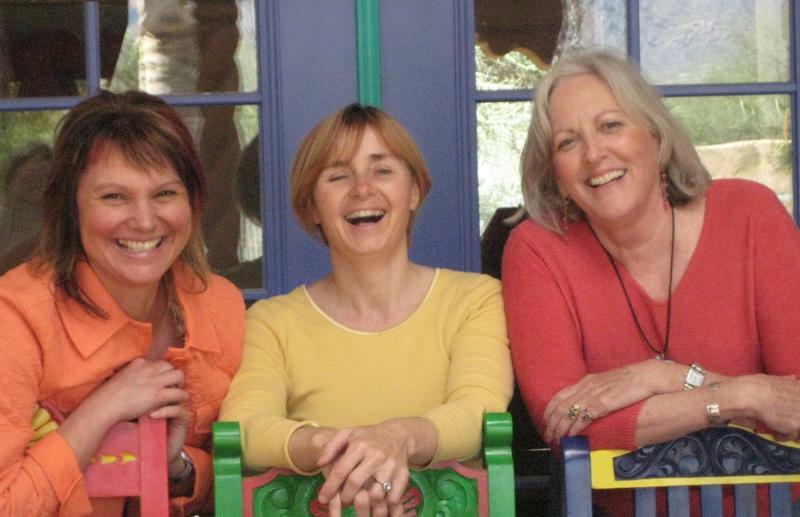 These private intensive workshops afford the opportunity for an individual or partnership (personal or professional) to deepen awareness of personal issues, core feelings and areas of bodily tension that inhibit the ability for us to reach our fullest true potential. Experience the spiritual and scientific biology of emotions to elicit an Authentic Sustainable Relationship in all areas of personal and professional life. Workshops might include elemental horse related activities, a sweat lodge, and swimming. 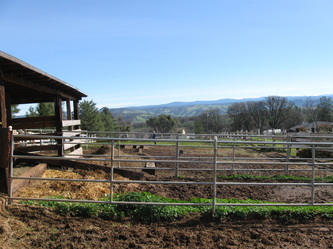 Daily sessions will begin with Tai Chi with the Herd and conclude with personally tailored Horse Way TM Map Meditation. All activities are designed to explore and integrate an expansive, yet grounded, mind set capable of endless compassion, innovation, energetic adaptability and creativity. A bio dynamic organic lunch and nutritious snacks will be tailored and served to your tastes. Overnight Accommodation available. 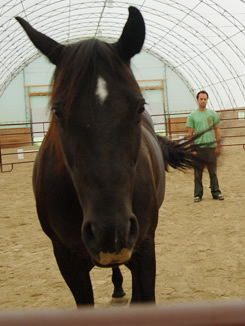 Sun Tui is the founder and director of IFEAL and is an Advanced Epona Approach Instructor. 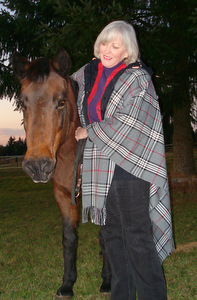 She teaches Horse Way Tai Chi and Integral Body Mind NLP Therapy. Horses, as consummate teachers, can show us how to re-discover, connect and develop our “knowing” selves. The Zone of Intuitive “Knowing” comes directly from the ‘brain in the gut’ and the ‘brain in the heart’. This workshop includes experiential exercises with horses that engage our innate abilities to use our organs of perception. We can choose to enter the Zone of Intuitive “Knowing” through direction from these powerful centers of intelligence in concert with the intelligence centered in the brain. When fully grounded we are able to extend our self-awareness into all aspects of daily life and live authentically each moment with tangible success. The Zone of Intuitive Knowing group intensive will be held at Cansiron Farm in East Sussex, England and is suitable for business and life coaches, counselors, psychotherapists, healing therapists (any discipline), teachers, business managers, trainers and consultants, all horse professionals or ANYONE interested in human growth and development. 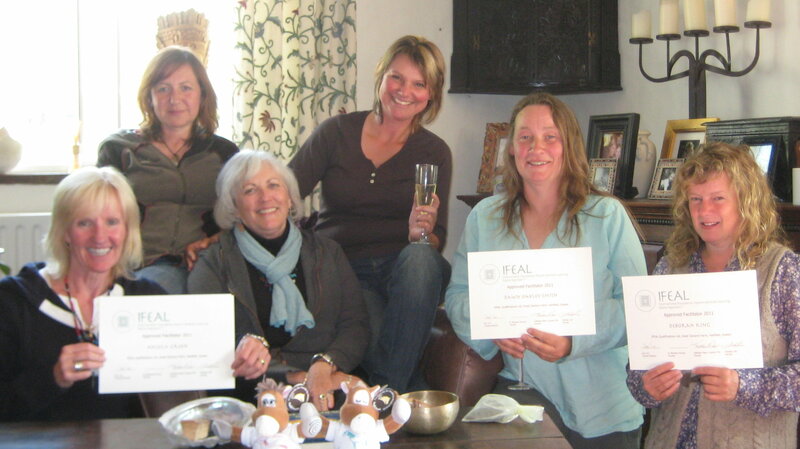 This is a non-riding workshop and can be used as a qualifying workshop for IFEAL Facilitator Training incorporating The Epona Approach™.